We are a privately owned document service, we are not affiliated with any government agencies. View service comparison. 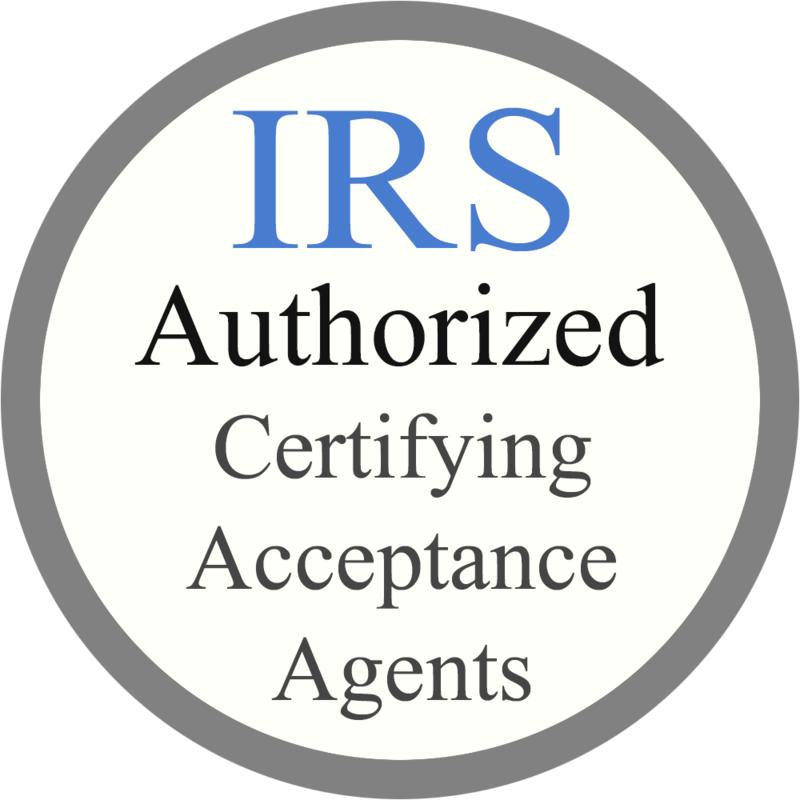 Obtaining an ITIN requires the assistance of an IRS authorized Certifying Acceptance Agent such as Filing.Solutions and all ITIN applications must be manually processed with the IRS by an authorized agent. Simply complete the form below, submit the processing fee, and one of our certifying acceptance agents will review your information and begin processing your application. Individual Taxpayer Identification Number F.A.Q. What Is The ITIN And Who Needs It? As a taxpayer you are required by the Internal Revenue Service to obtain an ITIN or Individual Taxpayer ID number. This identification number is required for tax administration purposes and each business or taxpayer will have a unique number which cannot be assigned to anyone else. Anyone who already has or can get a social security number can most likely acquire an ITIN, as well. The Social Security Administration, however, determines the eligibility specifics. This specific identifying factor is specifically utilized for tax purposes. It is beneficial for the IRS and gives them the ability to better track taxpayers. With this type of policy in place, the Internal Revenue Service has a much less difficult time managing tax returns and it allows them to do so in a more efficient manner. Even taxpayers who have been denied a SSN can utilize an ITIN to file their taxes. Please note that obtaining an ITIN and being eligible for one does not mean that you are able to legally work in the United States. It also does not make social security benefits or income tax credits available to you. Some individuals will need to obtain an ITIN. Those that have been unable to legally obtain an SSN and are required to file annual tax returns will also be required to apply for an ITIN. If you are currently waiting for your SSN application to be approved, you should not file the W-7 form. Wait it out and see whether or not the SSA approves or denies your application before moving forward. However, they will process those that show SSN and ITIN. Now you should attempt to figure out whether or not you should apply. If you have already been approved for a social security number you will not need an ITIN. If you are in need of an ID for business and tax purposes, you should attempt to obtain an EIN instead. Both the EIN and ITIN utilize 9-digits and are Federal Tax Identification Numbers. This remains true for residents and non-residents alike. As a holder of either, you will be able to open a bank account and establish a business. That number is also required for filing and paying income taxes. Are Any Supporting Documents Needed? Those that are interested in obtaining an EIN will not need other documents. Individuals who wish to acquire an ITIN will need a few, including a passport or ID. Make sure that this information is submitted along with the tax return form. Some will be better served by seeking out an accountant for this specific purpose. On the ITIN the SSN field should be left blank. Copyright 2015 Filing.Solutions 870 N Miramar Avenue #411, Indialantic, FL 32903. Varies read TOS, third party data.